This article is about the character. For the guest star, see Pete Sampras. Pete Sampras is a professional tennis player. 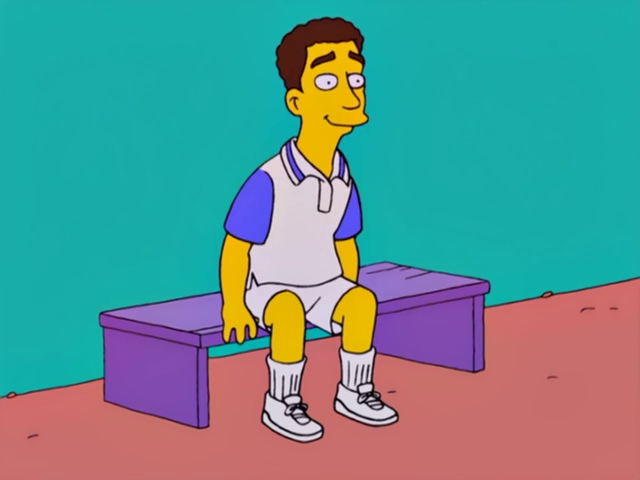 Serena Williams asks him to take Marge's place in the charity tennis game, which he happily accepts. Homer steals his wallet and he tries to make Homer put it back but Homer takes some while he's not looking. Modified on January 31, 2016, at 14:40.